A responsive, clean and minimal WordPress theme, Portfolio Press is a brilliantly designed theme best suited for portfolio and photography based sites. 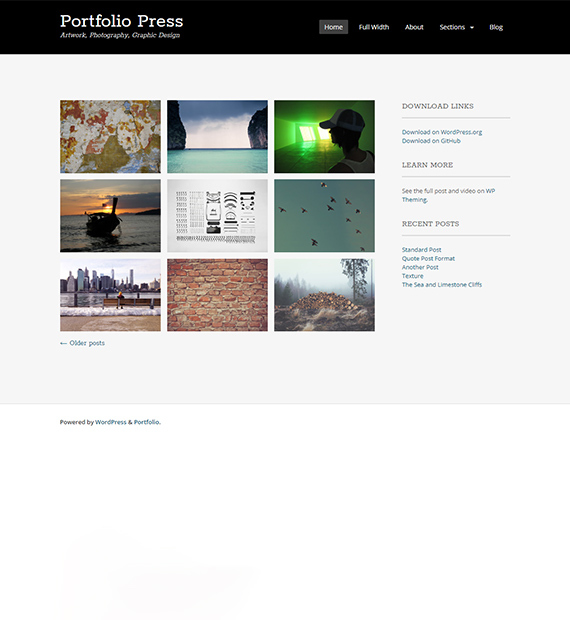 You can even use this theme when you wish to showcase best of your art, photography and other creative works. The simple and clean design is fully responsive adding the extra appeal to your site! User-friendly with easy to access customization options, this theme is designed by Devin Prince. Get all the support you need from the official site!